Avengers: Infinity War Is Coming Out A Week Earlier Thanks To Robert Downey Jr. Sometimes good things happen in this world which just put a little extra spring in your step. Marvel fans have been counting down the days to Avengers: Infinity War ever since it was announced way back in 2014 – they’ve shown a patience and strength which surely deserves some sort of recognition. As the release date finally creeps near, tense fans have been on tenterhooks looking for titbits about the ambitious film, which purports to tie together all aspects of the Marvel Cinematic Universe. Now, it appears fans won’t have to wait as long as they originally thought, to check if the job has been done properly. Indeed, you can catch the epic adventure a week earlier than planned. The super cool, ‘no big deal’ way in which this information was announced was almost as incredible as the big news itself. 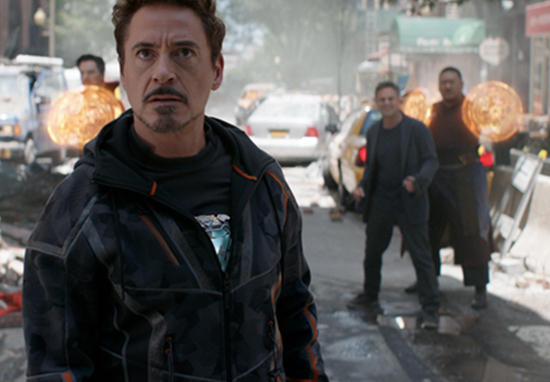 On a scale of one to infinity, how excited are you to see #InfinityWar on May 4th? A prickle of excitement was beginning to stir among fans, but nobody could have predicted the seismic shift in our own non-Marvel universe which was about to follow. Tagging his co-heroes Chris Evans, Chadwick Boseman, Dani Gurira, Mark Ruffalo, Don Cheadle and Anthony Mackie in the tweet. That’s a FANTASTIC idea! Done. Avengers: #InfinityWar in theaters everywhere April 27th. You guys wanted it. You got it. See you there April 27th. All across Twitter, jaws were dropping like space crafts descending on far off planets. What in the name of Ego was going on?! Marketing done like a beast ?? THIS IS WHY I LOVE YOU, MR. STARK.